FIREBALL, an adjuvant designed for glyphosate and dicamba based herbicides. The EPA has approved FIREBALL as a tank-mix for Monsanto’s XtendiMax Technology. FIREBALL includes a water conditioner, non-ionic surfactant, drift agent, defoamer, spreader-sticker and acts as a penetrant. Water conditioning agents are one of the diverse advantages of FIREBALL, blocking antagonistic hard water ions. 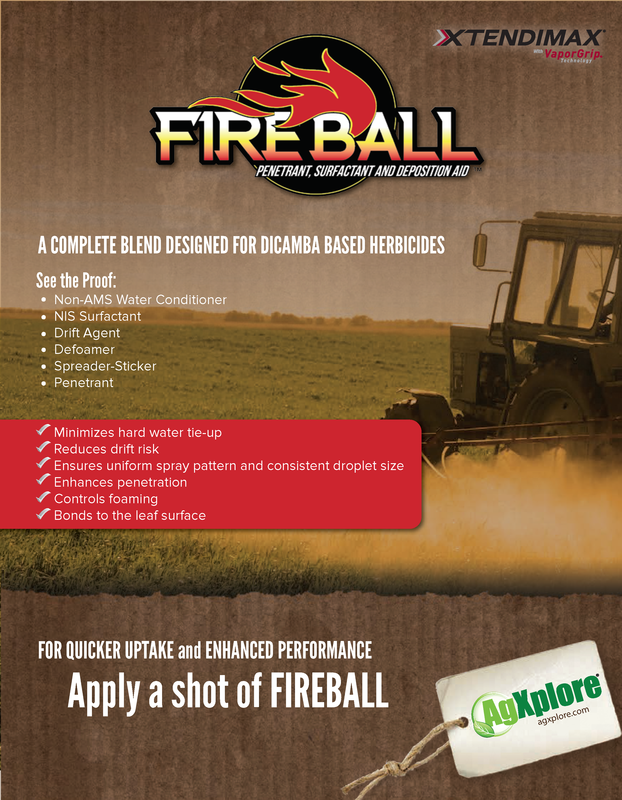 FIREBALL’s drift agent maximizes on target weed control. The spreader-sticker and penetrant increases herbicide performance by accelerating uptake and improving utilization.